Leukemia is a type of cancer of the blood forming tissues including the lymphatic system and the bone marrow. 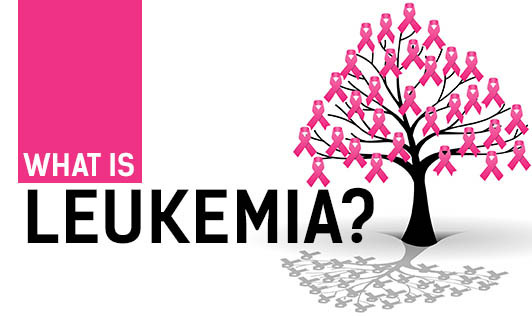 There are many types of Leukaemia, some that are more common in children and other forms that occur mostly in adults. Doctors and scientists don't understand the exact causes of leukaemia but they propose that they seem to develop from a combination of genetic and environmental factors. Nevertheless, most individuals with known risk factors don't get Leukemia and many people with Leukemia have none of these factors. See your doctor, if you have any persistent signs or symptoms that bother you as Leukemia symptoms are often quite vague and not specific. Hence, you may overlook early signs because they resemble symptoms of flu and other common illnesses.